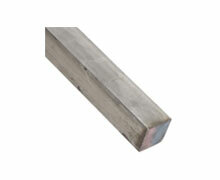 SS 347 Square Bar Supplier, SS 347H Bright Square Bars, Stainless Steel 347/347H Square Bar Exporter In Mumbai. 347H SS Bright Square Rods, Stainless Steel UNS S34708 Square Bar, SS 347H Square Bar Supplier, Stockist of SS 347H Square Rod In Mumbai, Stainless Steel DIN 1.4550 Bright Square Bar, Stainless Steel 347H Square Bars Exporter, Stainless Steel 347H Square Rod Manufacturer India. Skytech Metal is a known manufacturer, distributor and trader of SS 347 / 347H Square Bars, which is stabilized against chromium carbide formation by the addition of titanium. SS 347 Square Bars has good oxidation resistance, on par with most other austenitic stainless steels. These Stainless Steel 347H Square Bars has excellent resistance to inter-granular corrosion after exposure to temperatures in the chromium carbide precipitation range of 800 Degree F – 1500 Degree F. SS 347 Square Bars is a columbium (niobium)/tantalum stabilized austenitic chromium-nickel stainless steel which was developed to provide an 18-8 type alloy with improved inter-granular-corrosion resistance. Since these elements in SS 347H Square Bars have a stronger affinity for carbon than chromium, columbium-tantalum carbides precipitate within the grains instead of forming at the grain boundaries. Alloy 347 Square Bars is stabilized by the additions of chromium and tantalum and offers higher creep and stress rupture properties than Alloy 304 Square Bars and Alloy 304L Square Bars which may also be used for exposures where sensitization and inter-granular corrosion are of concern. Slightly tougher than SS 304 Bars, these Alloy 347H Square Bars will produce the same tough stringy chips. 347 Stainless Steel Square Bars is often used for High temperature gaskets, Expansion joints, Rocket engine parts, Aircraft collector rings, and more. The columbium serves to produce a stabilized type of 347H Stainless Steel Square Bars which is immune to chromium carbide precipitation. Stainless Steel 347 Bright Square Rod Supplier, 347 Steel Square Rods Stockist, SS 347 Square Rod Exporter In India, SS UNS S34700 Bright Square Rods, SS DIN 1.4550 Square Rods Manufacturer, 347 Stainless Steel Square Rod, SS 347 Square Rods Supplier In Mumbai, India. 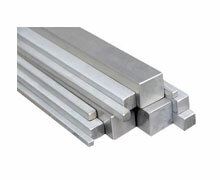 347H Stainless Steel Square Bar Supplier, Stainless Steel 347/347H Bright Bar Exporter, Steel UNS S34708 Square Bar Stockist In Mumbai, Stainless Steel 347 Square Rod Stock, 347H SS Square Rod / Bar, ASTM A582 SS Square Bars Supplier, SS DIN 1.4550 Square Rod Supplier, ASTM/ASME A276 Steel Square Bar Stockholder, Stainless Steel 347 Square Rods Manufacturer, SS UNS S34700 Square Bar / Rod Exporter in India, SS Square Rod Dealer, ASTM A564 SS 347 Square Rods Supplier In India, SS 347H Square Bar, SS 347 Bright Square Rods Manufacturer, ASTM A276 347/347H Stainless Steel Square Bar Exporter, Stainless Steel 347 Square Bars. Ulsan, Port-of-Spain, Seoul, Manama, Gimhae-si, Calgary, Coimbatore, Toronto, Hanoi, Chandigarh, Ludhiana, Jakarta, Melbourne, Doha, Ahmedabad, Brisbane, Singapore, Istanbul, Bangkok, London, Cairo, Atyrau, Bengaluru, Algiers, Jeddah, Chennai, Surat, Pimpri-Chinchwad, Al Jubail, Visakhapatnam, Al Khobar, New York, Caracas, Ranchi, Bogota, Howrah, Petaling Jaya, Jaipur, Madrid, Lagos, Busan, Jamshedpur, Thane, Hyderabad, La Victoria, Thiruvananthapuram, Gurgaon, Bhopal, Los Angeles, Kuwait City, Mexico City, Montreal, Sydney, Houston, Faridabad, Dallas, Baroda, Tehran, Secunderabad, Dubai, Colombo, Nashik, Chiyoda, Aberdeen, Abu Dhabi, Riyadh, Granada, Edmonton, Hong Kong, Rio de Janeiro, Ernakulam, Ahvaz, Santiago, Haryana, Dammam, Moscow, Rajkot, Perth, Kanpur, Lahore, Vadodara, Noida, Karachi, Ankara, New Delhi, Kolkata, Ho Chi Minh City, Indore, Navi Mumbai, Courbevoie, Nagpur, Muscat, Mumbai, Sharjah, Vung Tau, Pune, Geoje-si, Kuala Lumpur, Milan. Mexico, United States, Singapore, Sweden, Philippines, Trinidad & Tobago,Tunisia, Iran, Sri Lanka, China, Croatia, Spain, Denmark, Nepal, Puerto Rico, Brazil, Morocco, India, United Arab Emirates, Mexico, Japan, Colombia, Canada, Oman, Bahrain, Zimbabwe, Bangladesh, Bhutan, Mongolia, Greece, Malaysia, Nigeria, Lebanon, Bulgaria, Ireland, Nigeria, Gabon, Australia, France, Afghanistan, Russia, Costa Rica, Finland, Portugal, Iran, Israel, Angola, Libya, Azerbaijan, Switzerland, Yemen, Estonia, Czech Republic, Venezuela, Kazakhstan, Ghana, Gambia, Belgium, South Africa, Namibia, Ukraine, Hungary, Pakistan, Poland, Vietnam, Slovakia, New Zealand, Thailand, Indonesia, Qatar, Taiwan, Jordan, Belarus, Bolivia, Argentina, Austria, Ecuador, Peru, Kenya, Tibet, Iraq, Chile, Kuwait, South Korea, Macau, Poland, Algeria, Germany, Saudi Arabia, Serbia, United Kingdom, Turkey, Norway, Lithuania, Egypt, Chile, Netherlands, Italy, Romania, Hong Kong.